Ride sharing app LiftO raises $130K in angel funding. Mumbai-based Teilen Infoservices Pvt Ltd, which runs and operates people-to-people (P2P) ride-sharing app LiftO, has raised $130,000 (Rs 85 lakh) in angel funding from Tree House Education's Rajesh Bhatia, Temasek's fund manager Dheeraj Mehta and other investors. Amith Aggarwal (co-founder, Star Agri Warehousing and Collateral Management) and OM Logistics' promoters (the Gupta family) also put money in this round, LiftO said in a statement. The funds raised will be utilised for customer acquisition. The company also plans to close $5 million in Series A round of funding by March 2016. "LiftO works on on-demand real-time basis. We verify the people through their Linkedin profiles. The beauty of the system is that it tells the lift taker where exactly is the pickup point, how far is it and who is offering the lift," said Nikhil Agrawal, co-founder and CEO, LiftO. The company was founded in April 2015 by Agrawal (IIT Delhi, IIM Lucknow, nine years of investment banking experience), Vikesh Agrawal (BITS Pilani, AIM Manila, five years of marketing experience with The Times of India) and Hakuna Matata Solutions (P) Ltd (a Chennai based software company). LiftO is a P2P premium ridesharing platform, which lets people share their daily commute with a professional on 50:50 cost sharing basis. 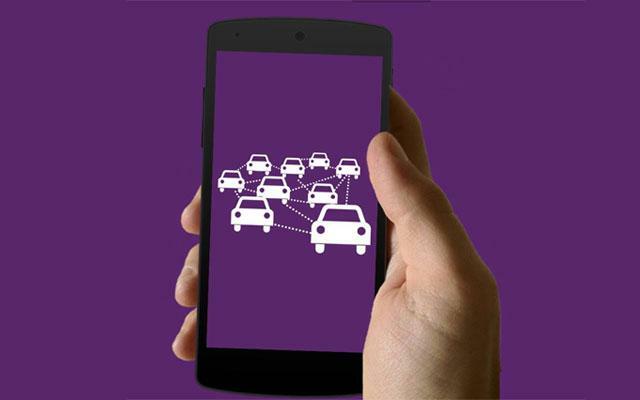 It allows users to split the cost of commuting by car, taxi or auto-rickshaw. The Android app on Google Play Store has been downloaded more than 5,000 times since its launch in September. The company claims it does 50-60 transactions a day and is currently active in the Mulund-Powai-SEEPZ area of Mumbai. It aims to do 300 transactions a day by the end of 2015. It plans to cover the whole of Mumbai within a year and then move to Delhi-NCR and Gurgaon. Quite a few ride sharing apps have come up in recent months and have seen increased interest from investors. Zify Tech Solutions Pvt Ltd, which runs a ride-sharing app, has raised $190,000 (Rs 1.2 crore) in angel funding from two Hyderabad-based investors and Sean O'Sullivan of SOSventures. Ola also recently launched, Ola Share, which gives users the option of sharing rides with familiar people. Uber also launched, UberPOOL, a ride-sharing service where commuters can share a ride and split the cost with another person who needs to travel along a similar route. Accel Partners and Index Ventures-backed online carpooling venture BlaBlaCar entered India in January while Rocket Internet-backed carpooling firm Tripda entered the country last year.